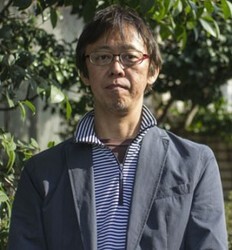 Takahiro Omori began his career as an animator in the 1980s and made his directorial debut in 1996 with Baby and Me. Since then he has directed series such as Hell Girl, Princess Jellyfish, and fan favorites Durarara! !, Natsume's Book of Friends, and BACCANO!, on many of which he also acted as sound director. He is known for the life-like quality of his characters that he achieves by imagining them as real people. Under Mr. Omori's direction, the film Hotarubi no Mori e, produced by the same staff as Natsume's Book of Friends, won the Jury Award at Scotland Loves Animation in 2011 and the Best Animation Film Award at the 66th Mainichi Film Awards.